Best স্নেহ চুম্বন scenes with Gary ? Which character did আপনি like more? Would আপনি like to see Gary's son Mac in a movie again ? Anyone have any "It's the Rage" অথবা "Jack the Bear" pictures? Gary said, joking, they're waiting for season 8 to make Mac আরো relaxed. "I'll throw the gloves away and........" Complete ! 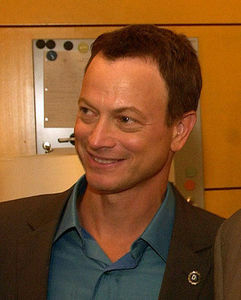 WIN AN AUTOGRAPHED ছবি SIGNED দ্বারা GARY SINISE AND THE "6 GUYS FROM CHICAGO"
Can we reach 2000 অনুরাগী ?